Starting in 2014; you will be able to shop for health insurance through private or public health insurance marketplaces. Members should contact SASid’s professionally licensed staff at 877-267-3752 for advice and/or direction navigating their options. SASid can provide options through private and/or public marketplaces. State-based health insurance marketplaces, or exchanges, are a component of the Affordable Care Act (ACA), and the places where individuals can access coverage. States can build a fully state-based marketplace, enter into a state-federal partnership marketplace, or default to a federally-facilitated marketplace. 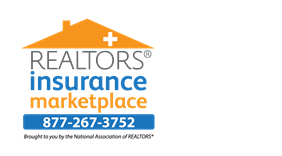 All marketplaces, regardless of how they are administered, must be ready to begin enrolling consumers into coverage on October 1, 2013, and must be fully operational on January 1, 2014. Given these fast approaching deadlines, states face serious challenges to making the necessary policy and implementation decisions. State‐Based Marketplace (SBM) – State is responsible for all functions(QHP, Premium fees, oversight/Monitoring, eligibility/enrollment, IT, outreach/education, consumer complaint, In‐Person assistance and the call center).